On Wednesday October 12, 2016 CalFire will hold a two day live fire training course at the Sardella Ranch on Wards Ferry Road in Tuolumne County. If conditions remain conducive, they say they will burn around 80 acres of grass over two days, ending Thursday. Be aware that there will be smoke. October 11, 2016 at 2:40 PM: A car has reportedly left Parrots Ferry Road and hit a fence in Columbia. An ambulance is en route to the scene. Be cautious as the car is partially blocking the roadway. October 11, 2016 at 2:30 PM: CHP is at the scene of a traffic collision on Hwy 4 near Poole Station Road outside Angels Camp. Minor injuries have been reported. A tow truck is en route. Be careful if headed that way. No honorable woman would stay Republican now!! Basket of Deplorables??? 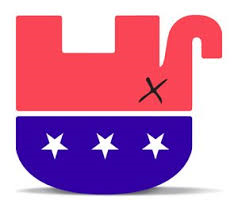 There is no real Republican Party! After the debacle of Donald Trumps past coming back to haunt him, women are not just stunned; they are humiliated and shocked. 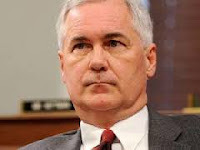 Men like Tom McClintock, our own Representative in the House, has decided he loves Trump and could care less about us. What honorable woman in her right mind could remain Republican or vote for any Republican who loves Trump?? This morning it was reported on Wall Street that investors and groups of religious leaders are leaving Wells Fargo due to the fraud discovered. We aren't surprised at this. Many are having second thoughts about using Wells Fargo Bank for anything. October 11, 2016 at 10:25 AM: We understand that it was a pursuit that started in Hathaway Pines that ended up with the big rig being hit and runoff Hwy 49 near the airport and the police car crashing into another vehicle at Hwy 4 and Hwy 49. One way traffic on Hwy 49 due to this collision is extended. On October 10, 2016 Calaveras Sheirff's deputies arrested Micah Zane Spearing (43) of Railroad Flat on Railroad Flat Road. Spearing was booked into the Calaveras County Sheriff's Office for allegedly Carrying a Concealed Dirk or Dagger, Violation of Parole, both felonies and for Possession of Marijuana over 28.5 grams and Possession of Unlawful Paraphernalia, both misdemeanors. 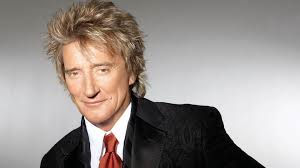 Rock star Rod Stewart was knighted today in England. He wore plaid pants and a dark blue knightly type jacket. He was accompanied by his wife Penny Lancaster. He was recognized for his contributions to music and charity. October 11, 2016 at 9 AM: CHP does not have record on their log of either the Police Officer collision on Hwy 4 at Hwy 49 or the one they were initially headed for on Hwy 49 past the Calaveras Airport in the San Andreas area. We just spoke to a witness who passed the big rig that ran off Hwy 49 near the airport and crashed. What caused this collision is unclear at this point. Emergency personnel are at the scene. Tom McClintock just sent out an ad, backing Donald Trump for President, renouncing all women and their rights. What an embarrassment McClintock has been for years now! He apparently feels that a man like Trump should be able to do anything they want to women anytime they want. This is a sad day for Congressional District 4. October 11, 2016 at 8:50 AM: We just witnessed a parade of three CHP cars turn from Hwy 4 on to Hwy 49 with lights flashing. 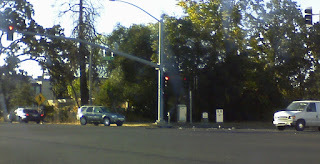 As we sat at the intersection another Angels Camp police car came flying through the intersection heading straight down Hwy 4 and hit a car that didn't see it coming. There is debris in the intersection. We don't know about injuries yet. October 11, 2016 at 7 AM: A car has hit a tree off Hwy 12 at Elliot Road in Lockeford. Emergency personnel, including an ambulance are responding. Use extra care if in that area. Now that Donald Trump has eliminated the possibility of his becoming President of the United States he has a new goal. Slamming Paul Ryan and other Republican leaders, he is still running for President of Breitbart's Alt-Right white supremacist movement. Many say that's exactly where he belongs.